(PRLEAP.COM) For a limited time only, Pacific Holidays is pleased to announce the unveiling of four distinct tours to exotic destinations. The world renowned tour company is known for putting together luxury tours at prices nearly 40% off retail. The affordable trips also include roundtrip airfare making these luxury vacations a reality. Now is the best time to finally take advantage of these special offers to make memories that will last a lifetime and finally cross these destinations off the bucket list. 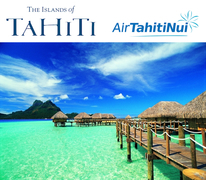 Tahiti, Moorea and Tikehau - This 11 day, 8 night package is priced reasonably at $3,099 per person. This price includes roundtrip airfare to the destination from Los Angeles, California. 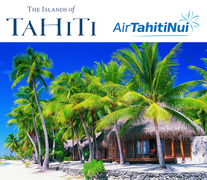 Although it may seem like another world, this vacation begins with just an 8 hour flight to the Islands of Tahiti where guests will enjoy two nights on the main island. 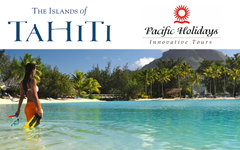 Experience the culture of the Islands of Tahiti and enjoy just a short ferry ride to visit Moorea. Here, guests will stay for three nights in the infamous Moorea Pearl and can enjoy diving, hiking, or simply relaxing on the paradise island. 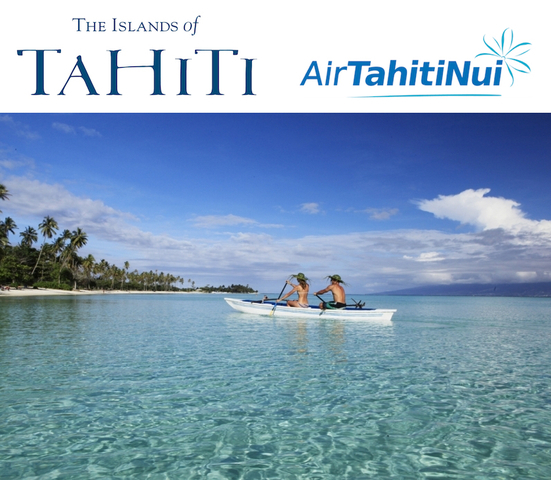 Return to the main island and hop aboard a flight to visit the tranquil island of Tikehau. Enjoy three nights in a private overwater bungalow with a ceiling fan to provide cool breezes. Or, opt for an A/C unit for an additional $300. Breakfast is included each day. Please reserve this vacation package 120 days in advance. Moorea, Sofitel and Bora Bora Private Island - Enjoy 11 days and 8 nights for just $3,699 per person which includes roundtrip airfare from Los Angeles. This trip begins with a 5 day stay at Sofitel Moorea Ia Ora Beach Resort. Spend the days snorkeling, diving, or exploring the island. There are plenty of area restaurants throughout the island. Next, take a short flight to Bora Bora where guests will stay in a private overwater bungalow. Enjoy a buffet breakfast daily. All airport transfers are included in the price of this vacation package. Moorea and Rangiroa - For $2,899 per person this 11 day, 8 night vacation to Moore and Rangiroa includes roundtrip airfare from Los Angeles, California. This vacation begins with a three night stay at Sofitel Moorea Ia Ora Beach Resort. Explore the island and all it has to offer by hiking, diving, or swimming with the brightly colored fish and friendly rays. 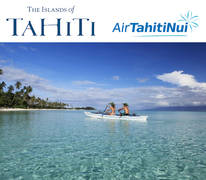 Return to the mainland via ferry and fly to Rangiroa for a five night stay at Kia Ora Rangiroa Resort. Here, enjoy diving and snorkeling while relaxing in a private bungalow. For a $500 charge, upgrade the bungalow to an overwater experience. Daily breakfast is included in this vacation package. Travel dates must be between January 15 and December 10, 2018. To take advantage of special pricing, please reserve your vacation by March 26, 2018. All Inclusive Cruise and Bora Bora Stay - For 11 days enjoy an unforgettable vacation priced at only $4,899 per person. An 8 hour flight from Los Angeles will take guests to the Islands of Tahiti, where a short flight will bring guests to Raiatea. Here, guests will board the small catamaran (only 12 passengers) to begin exploring the crystal clear blue waters around the islands. All meals and select drinks are included in this three day cruise. Next, guests will spend five nights at the Bora Bora Pearl Resort. Stay in a garden view private bungalow or upgrade to an overwater bungalow. Breakfast is included daily for this vacation package. Be sure to reserve your vacation 120 in advance to take advantage of this special offer. Pacific Holidays provides worldwide travel tours to destinations ranging from Asia to the South Pacific to Latin America. By offering cut rate pricing of up to 40 percent to travelers, Pacific Holidays follows its mission of providing dream vacations to those of all income levels. Whether travelers are interested in reconnecting with their past, or they are going on their honeymoon, Pacific Holidays caters with easy to navigate travel itineraries and deep discounts.